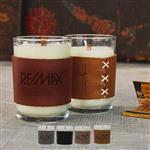 Custom candles and promotional candles with your logo including votive, pillar, aromatic candles, candle tins and custom aromatic candles in over 100 unique scents. 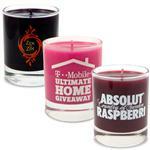 Soy based custom candles and promotional candles provide a unique holiday gift or corporate gift for the home. 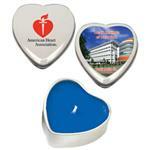 Our promotional candles can be customized with your logo as a thank you volunteer gift, a custom light candle gift in both candle tin and candle jar styles. 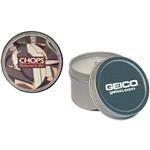 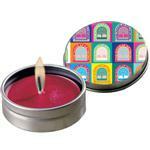 We also carry corporate candle gift sets and retail gift shop custom candles. 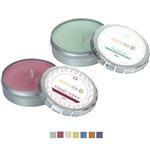 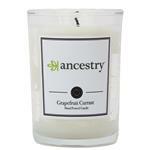 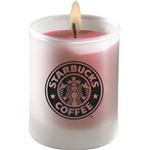 At higher quanitites, please inquire about custom scented candles or you can choose from a variety of standard scents. 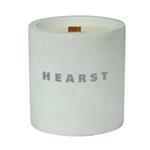 For more logo candle options call (888) 332-ADCO or email us at sales@adcomarketing.com the custom soy candle experts!